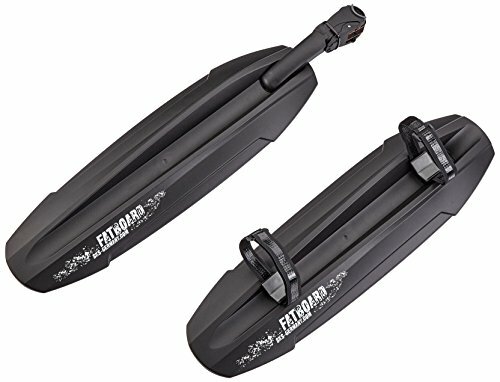 The ultimate set of mudguards for fat Tire bikes offering all round mud protection. Front is mounted easily under the down tube by high-performance straps and the rear fits to the seat post in seconds with the proven tool free skis quick-release power strap attachment system. The two-hinge arm in the rear allows perfect adjustability to the geometry of your bike. If you have any questions about this product by SKSAE, contact us by completing and submitting the form below. If you are looking for a specif part number, please include it with your message.